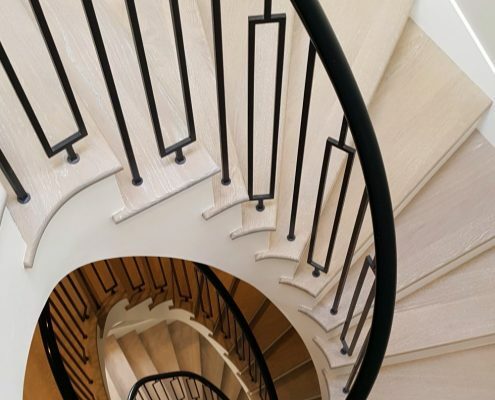 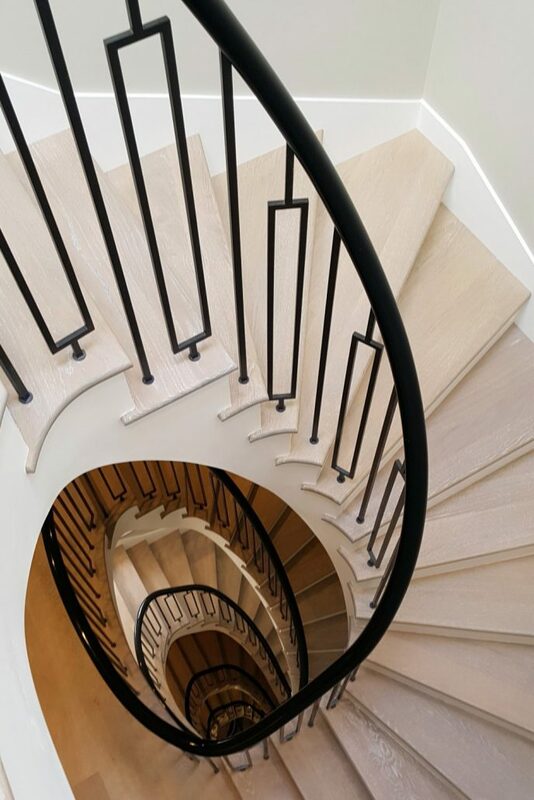 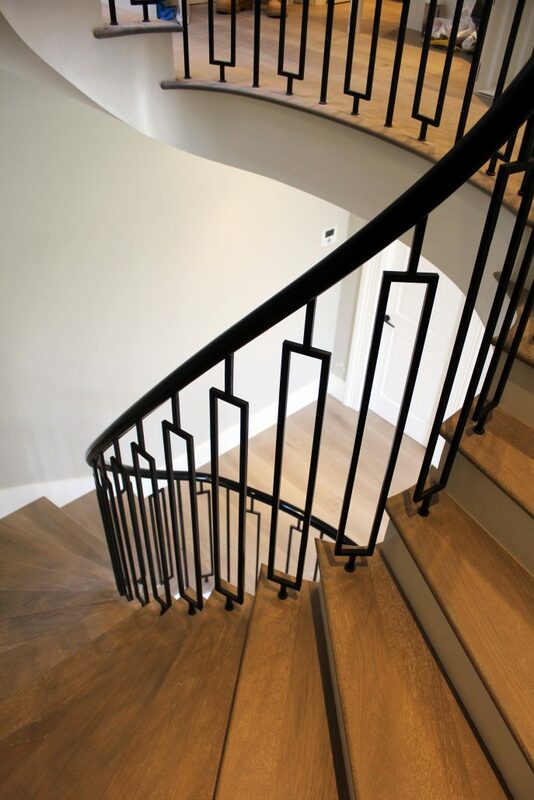 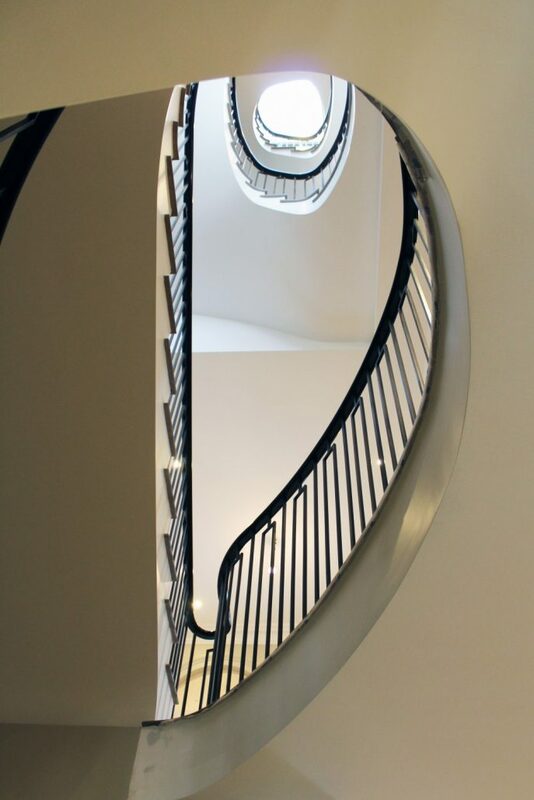 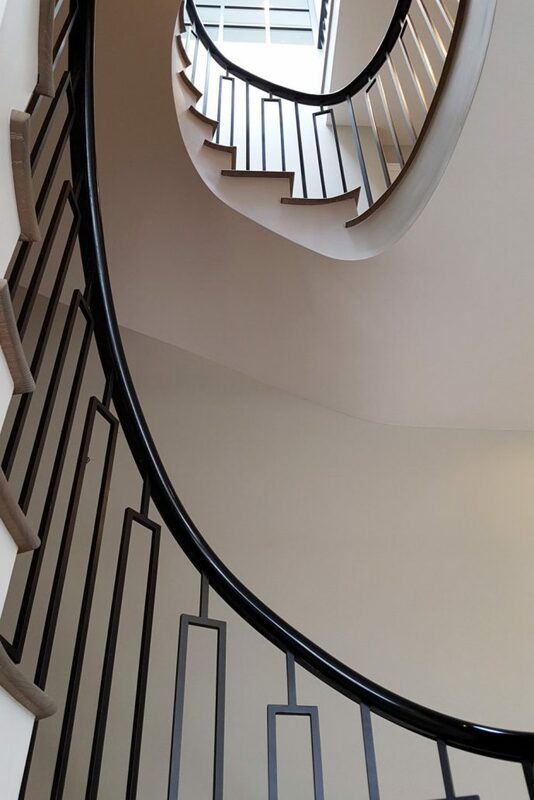 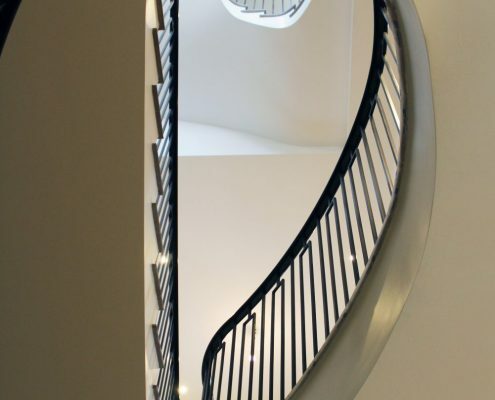 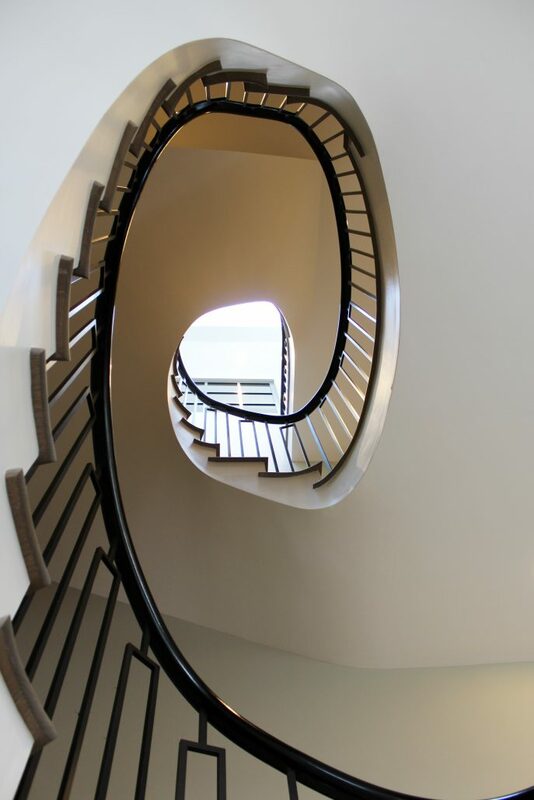 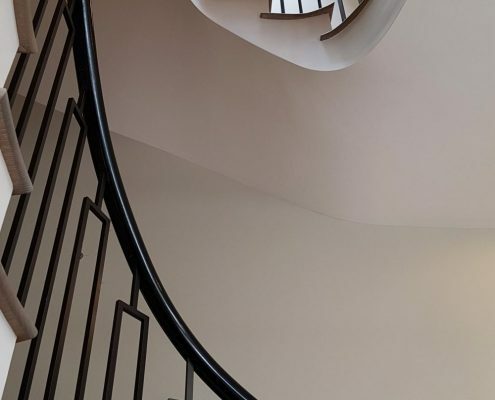 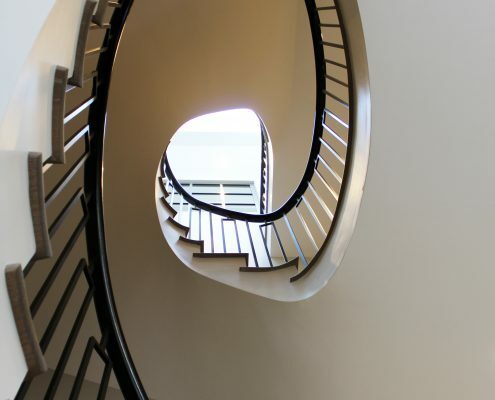 Working alongside one of the largest stair designers in the UK, Handrail Creations manufactured, installed and French polished over 40 metres of helical sapele handrail at this residential project in Kensington. 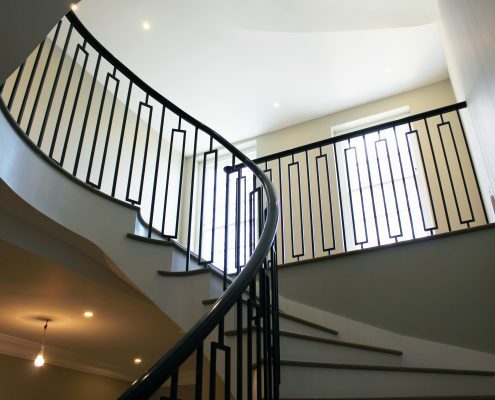 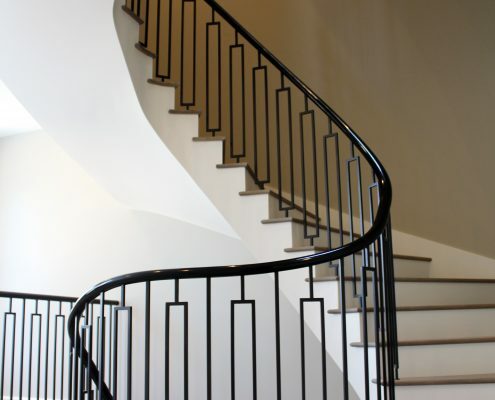 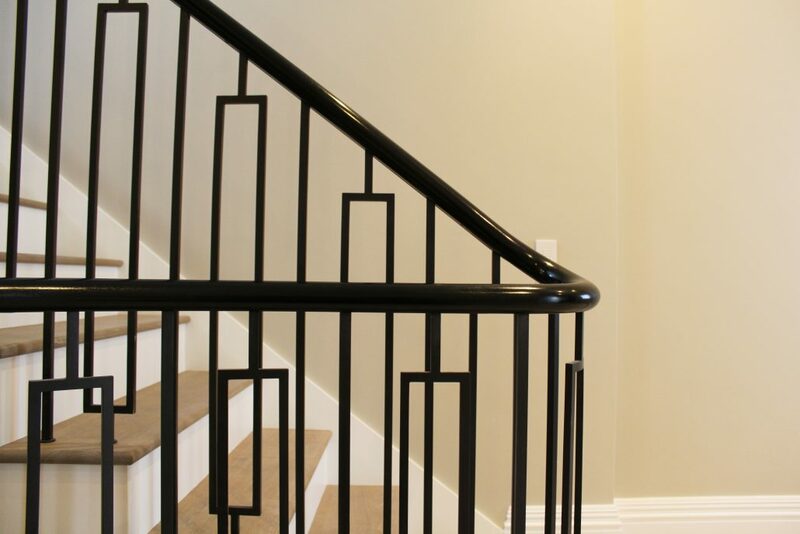 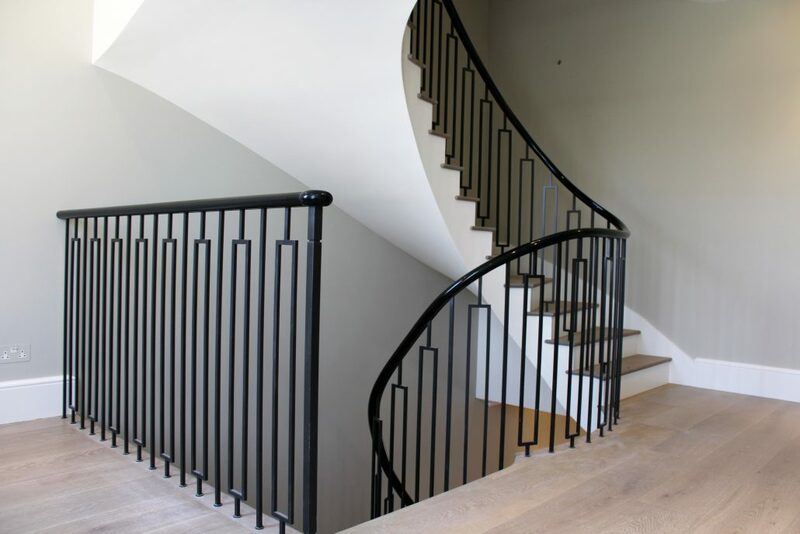 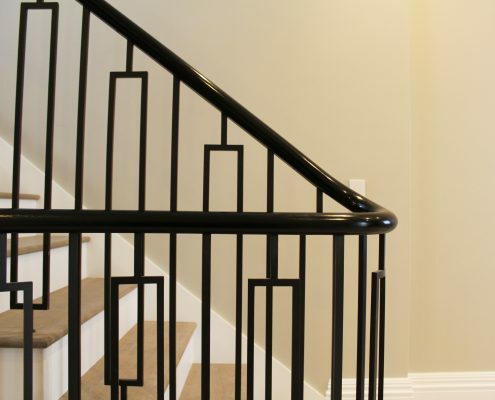 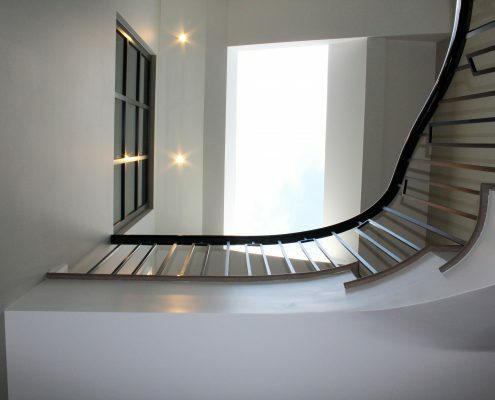 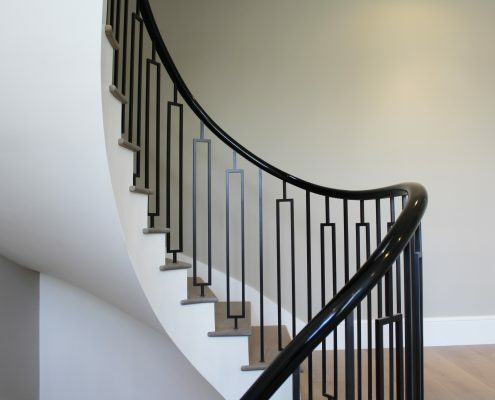 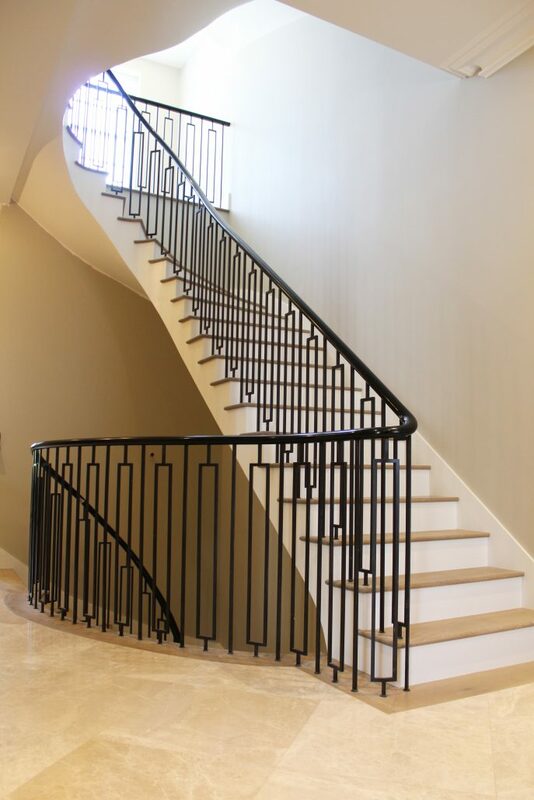 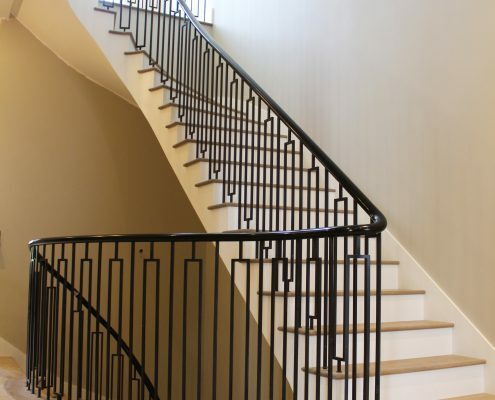 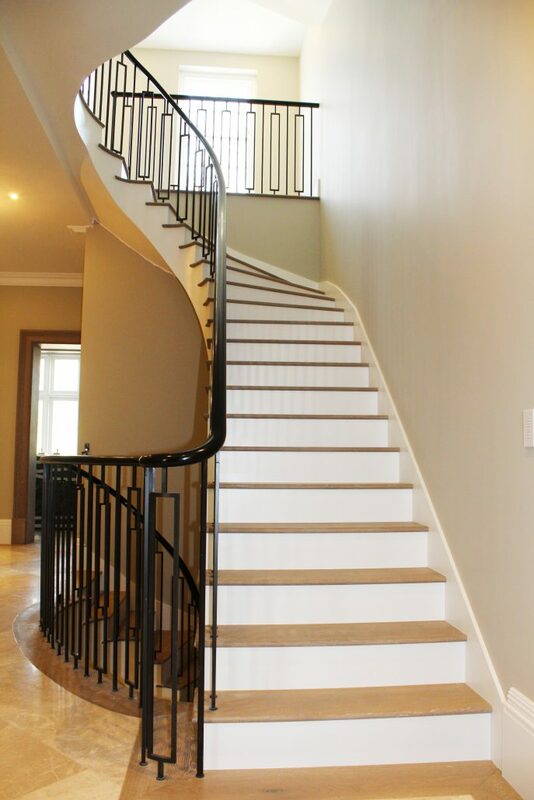 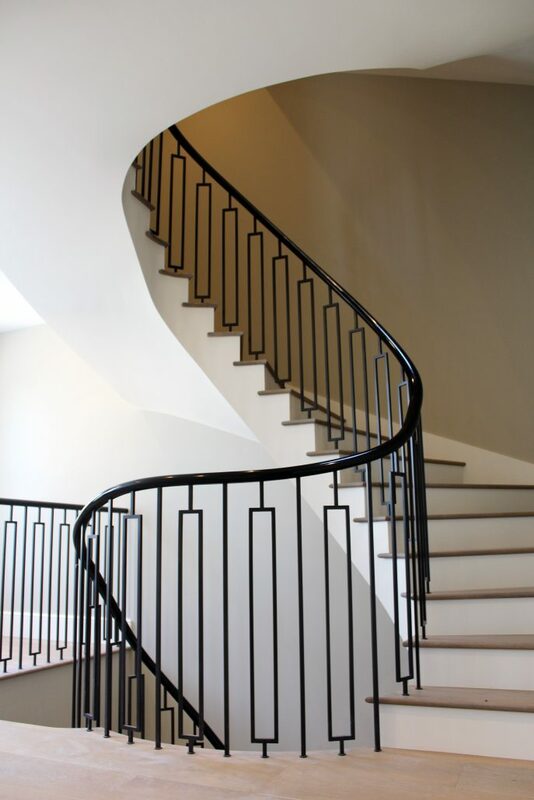 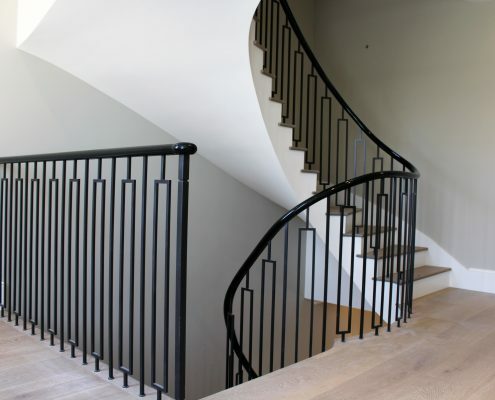 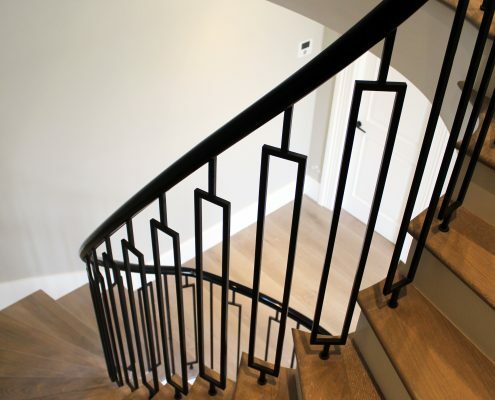 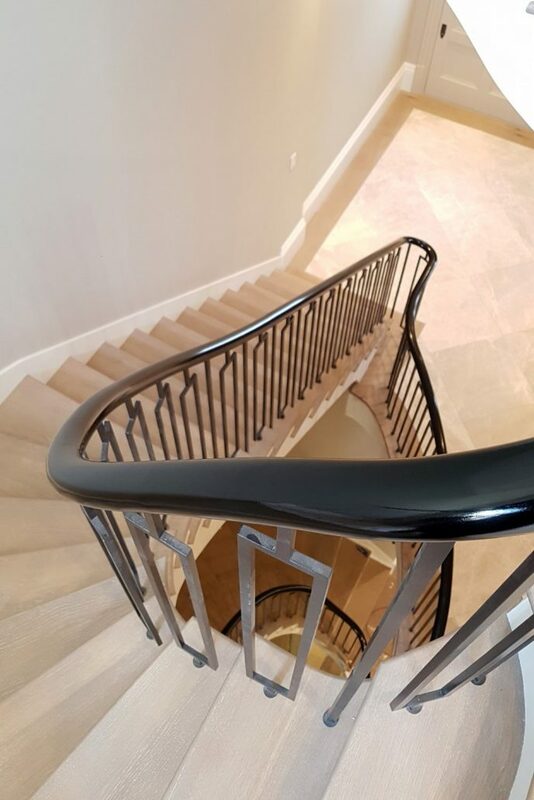 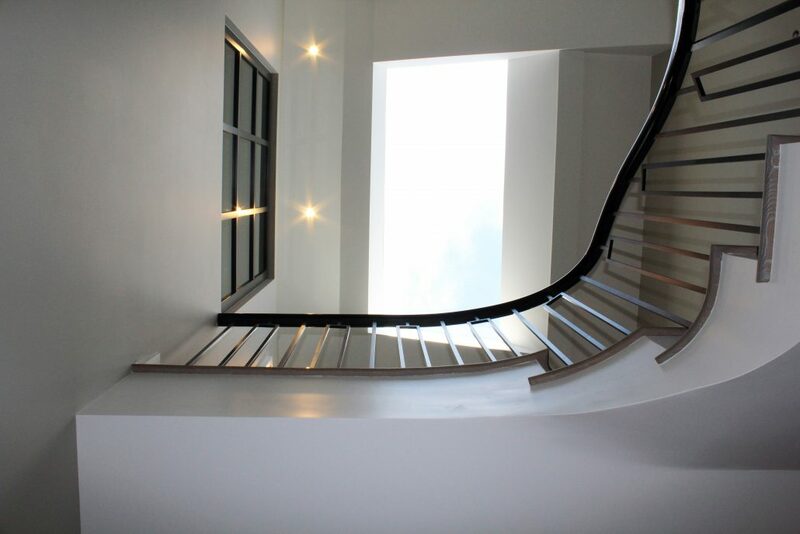 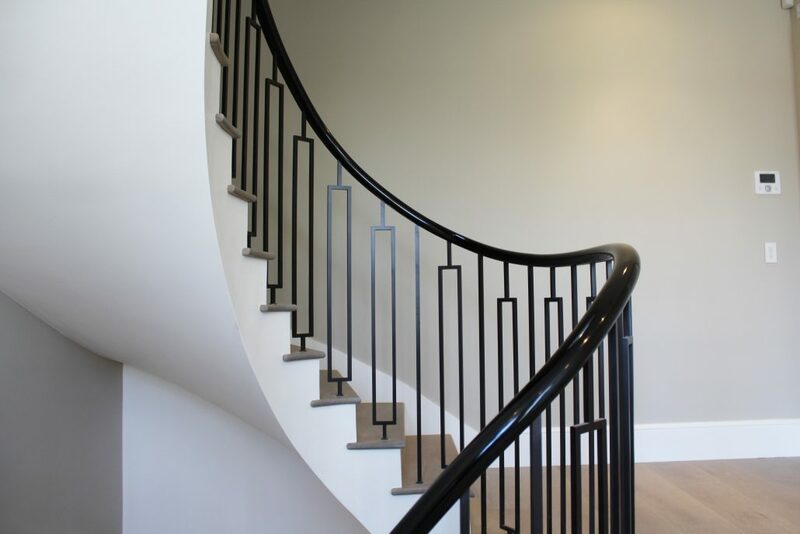 With the steel balustrade already fitted with a top core rail, our design team took a digital survey of the balustrade, and then created a sweeping handrail which was all made to measure and pre-assembled in our factory, so there was no lost time or mess on site. 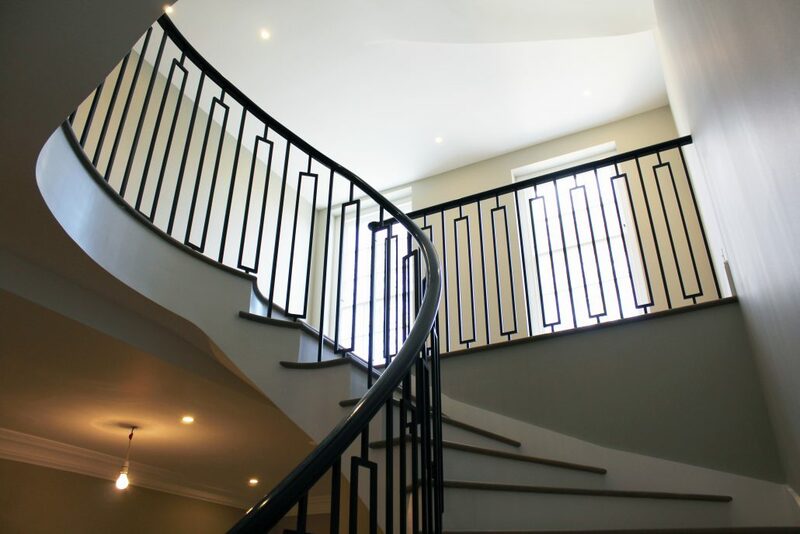 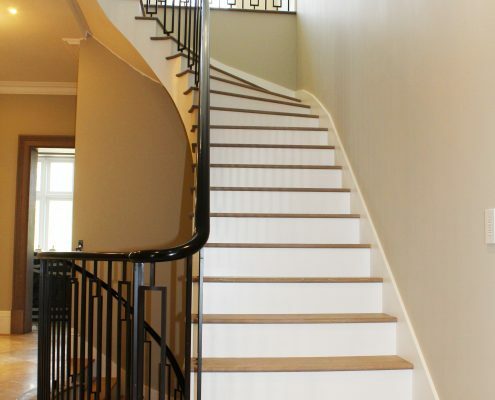 Our team installed the handrails over 6 floors in less than two days, much to the client’s delight. 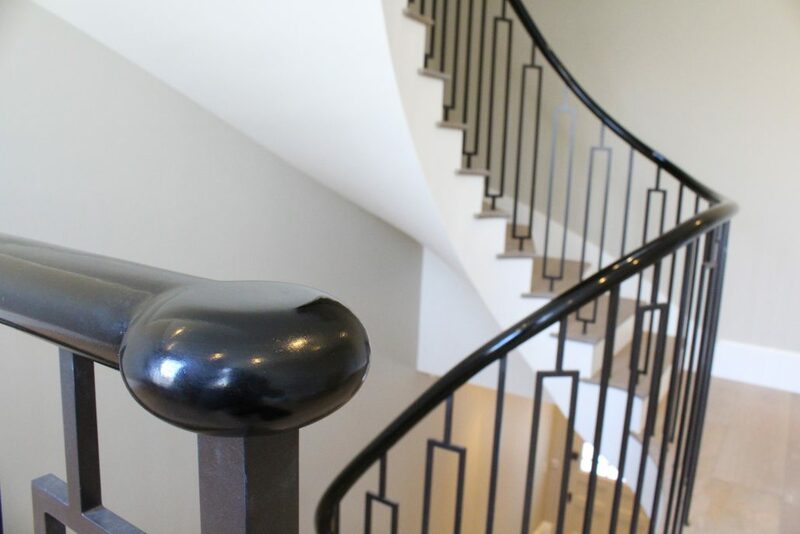 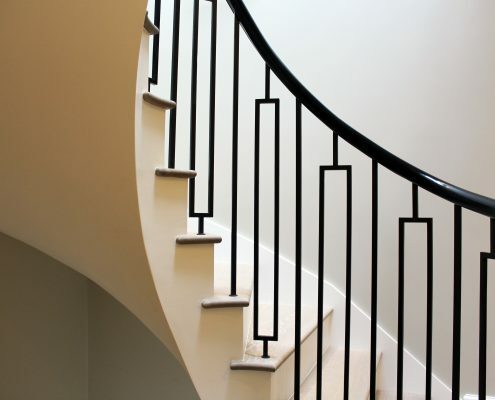 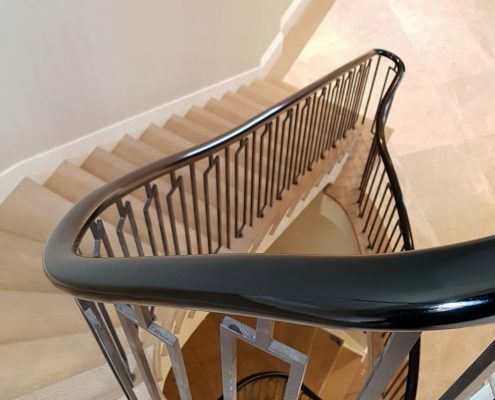 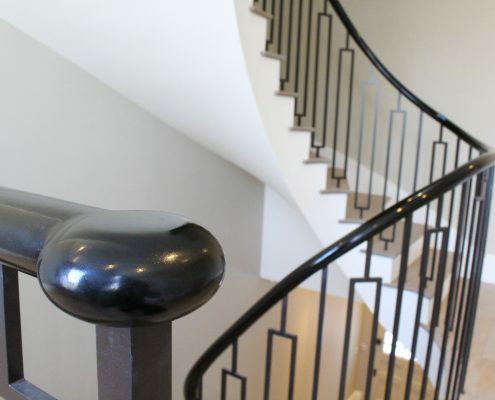 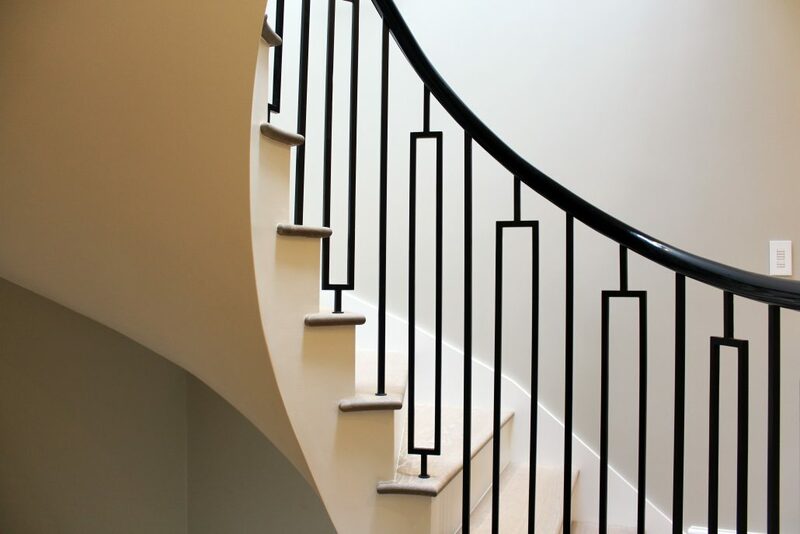 The handrails were then polished to a piano black finish, a style that we have found very popular over the last few years.